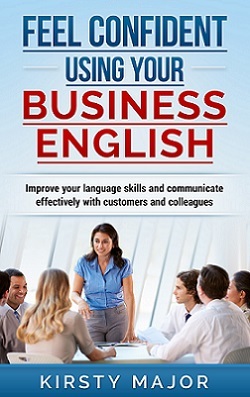 Do you want to become a better communicator when you use English at work? Whether you want to improve your email communication or achieve more at networking events, my audio courses are full of practical tips and information that will help you. On weekdays (Monday to Friday) you will receive an email that contains a link to the course material for that day. There will be a short audio message from me that lasts between 5 to 15 minutes. In the audio message, I discuss a topic related to your course, give you tips on what will help you and what you should avoid, and I provide practical examples to illustrate my points. There is also written information on the web page that summarises my key points, demonstrates my examples or highlights any important terms or phrases. The courses are intended for people who want to learn on their own, at a time that suits them. Concentrating on one topic for a number of days will help you to focus and develop your skills in this area. You can complete the course from anywhere where you have an internet connection and you can replay the audios and refer back to them as often as you want. In many businesses, email is one of the most important tools when it comes to communicating with customers and colleagues. Whether you want to make a good first impression or to develop an existing business relationship, you need to make sure that your emails get across your messages clearly and positively. This 15-day audio course looks at 15 elements of email writing. They will help you to communicate effectively and avoid common mistakes that will annoy your reader or detract from your message. Whether you love or hate them, most of us need to attend networking events at some time! However, making new connections and communicating well in another language can be a stressful experience. This 10-day audio course provides you with tips on how to prepare for the event and what to do when you get there – whether you’re trying to build your network or attending a social event organised by your company. After you have listened to all the audio files for your course, I will give you written feedback on 100 words, either an email that you have written, or an introduction about yourself and what you do. If you decide to buy one of the courses, fill in your details below and I will send you an invoice with my Paypal details. When you’ve paid the invoice, the modules will be sent to you, one per day, for the next 10 or 15 days, depending on which course you choose. You can also use the form to send me questions about the courses. You can also sign up for English with Kirsty news – my monthly newsletter.